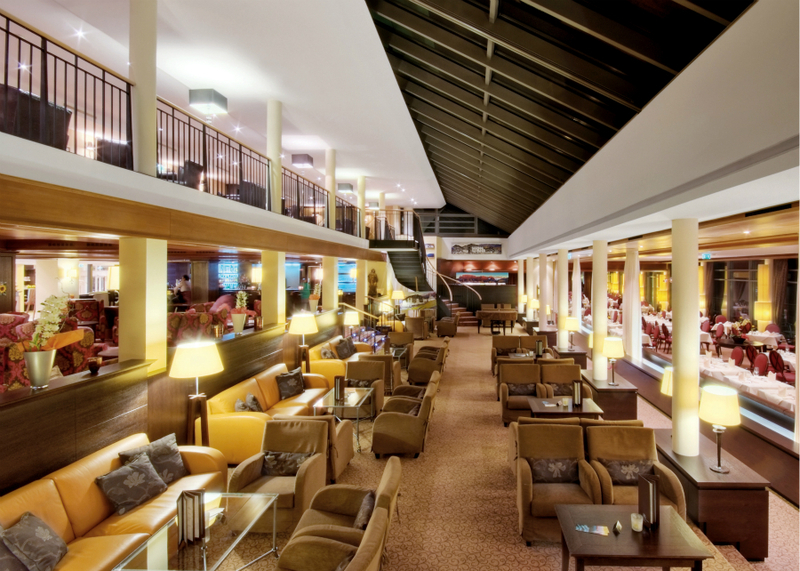 The hotel features a large lobby reception, hotel lounge bar with open fireplace, free WiFi, restaurants, sun terrace, meeting and conference facilities, four lifts, sports shop and ample car parking (free and garaged (subject to local charge)). 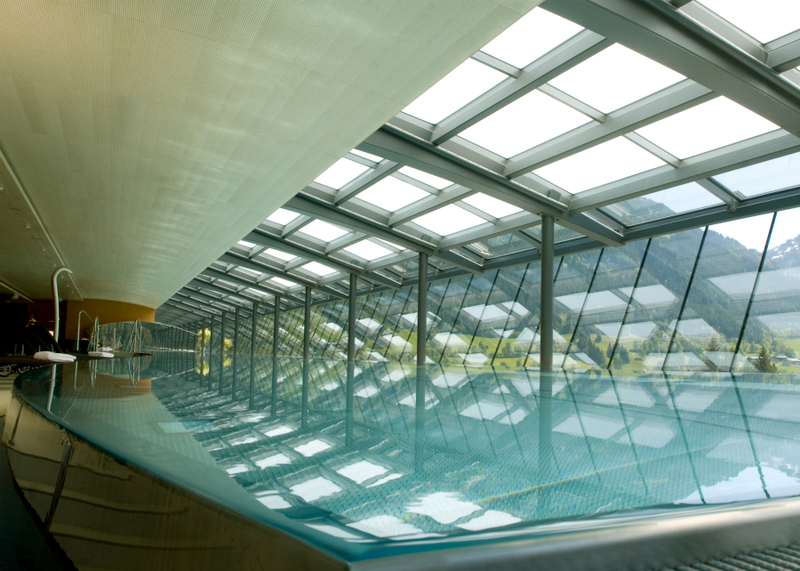 The hotel’s wellness and spa facilities include a rooftop indoor pool (45 metres long) with panoramic views over Kitzbuhel, sun terrace, gym, sauna and steam rooms and Jacuzzi. A vitality and beauty spa offers a wide variety of treatments and massages (payable locally). Located on the outskirts of Kitzbuhel with panoramic views over the resort of Kitzbuhel, it is around 1.5 km to the resort centre (10-15 minutes stroll downhill) and the nearest 18-hole golf course is the GC Kitzbuhel-Schwarzsee (1.5 km, 5 minute drive). There is a complimentary shuttle minibus service to and from the resort centre and local golf course which operates from 0830-1800 (check times locally). There are many more golf courses within easy driving distance including GC Kitzbuhel-Eichenheim, GC Kitzbuheler Alps-Westendorf and GC Wilder Kaiser-Ellmau. All rooms are luxuriously finished with ensuite bath/shower and offer a hairdryer, bathrobes, flat screen TV, radio, telephone, safe and internet access. Most rooms have a balcony or terrace. 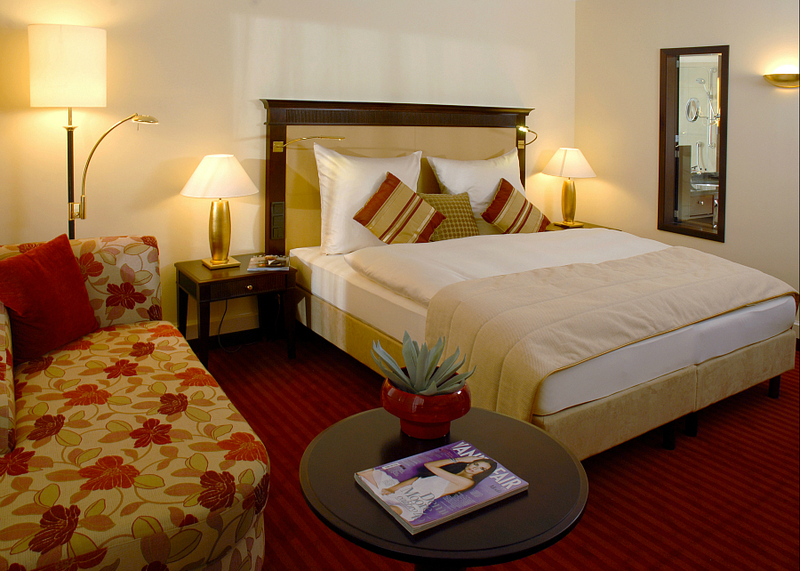 ‘Classic’ rooms are the Hotels standard double/twin rooms (28-33 m2) with views to the rear of the Hotel. Lebenberg rooms have views to the front and single and larger ‘Junior Suite’ rooms (2-4 bedded, 42-49 m2) are also available at a supplement. Accommodation is on a half board basis: Your day starts with an extensive hot and cold buffet breakfast and in the evening, a gourmet four-course dinner with choice of starters and mains and salad buffet is served. 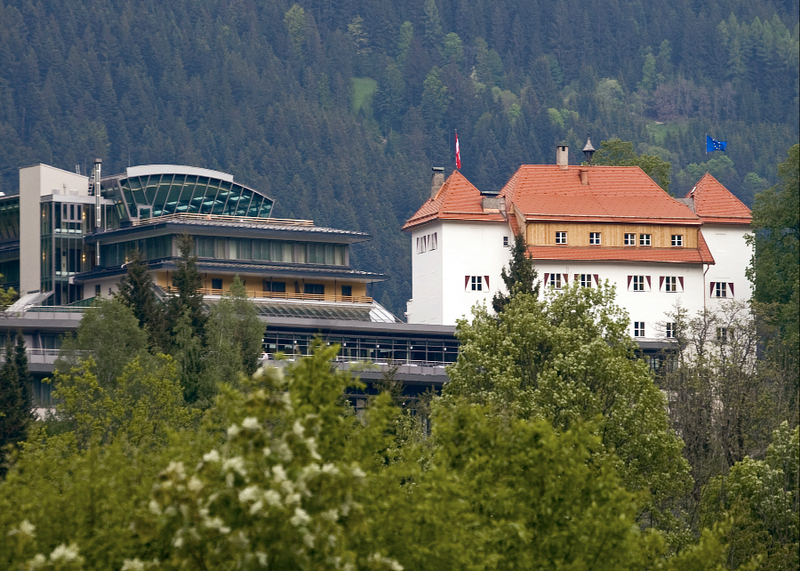 With great views over Kitzbuhel and its fantastic roof top pool, the Hotel Schloss Lebenberg offers great value for money and enjoys an excellent reputation for its cuisine. Its location outside of the town centre presents no great drawback as the Hotel provides a complimentary daytime shuttle to and from the centre.